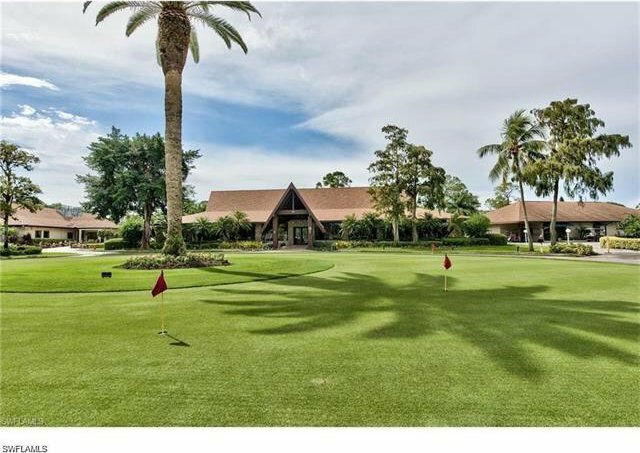 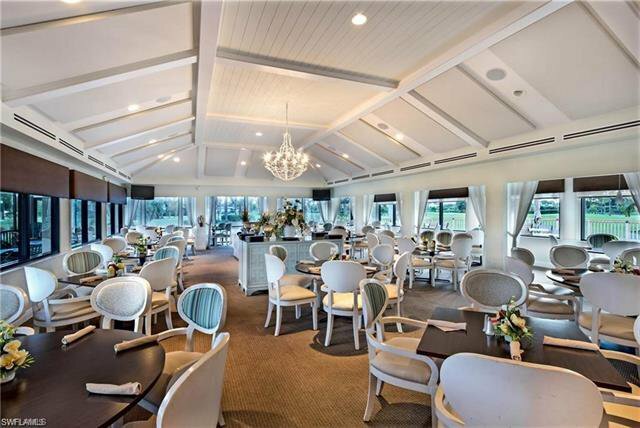 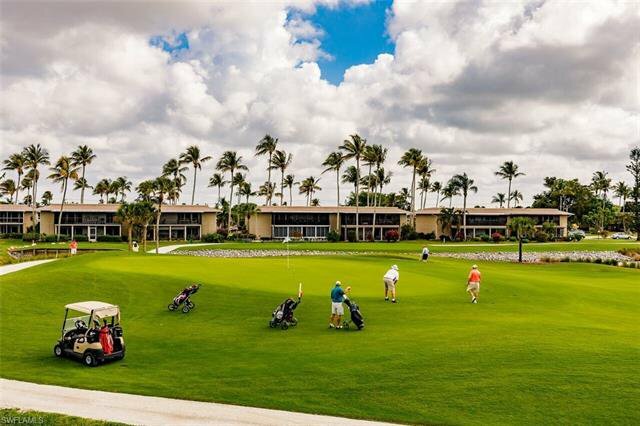 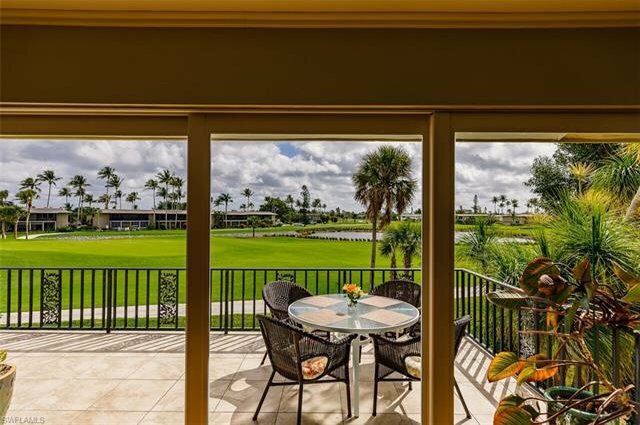 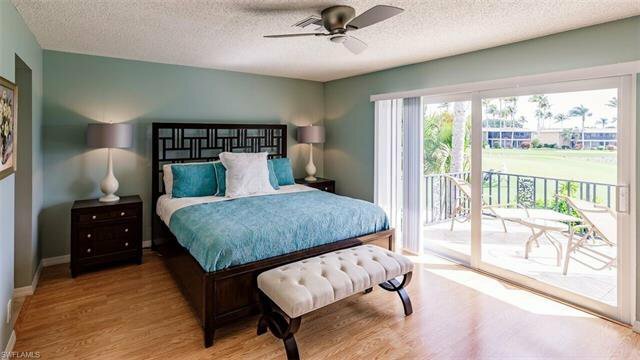 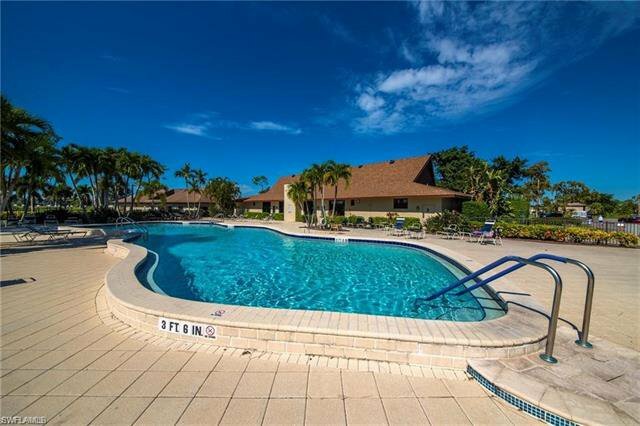 This golfer's condo is among the best kept value-for-dollar secrets in Naples -- $670/month HOA brings you a maintenance-free lifestyle close-in to the Beach/Fifth Ave (2 mile drive), PLUS all the golf you can eat, golf cart rental optional (for you walkers), 2 newly renovated 18-hole Gordon Lewis-designed courses, the community's "19th-hole" restaurant for when the town is packed, bucolic views up three fairways, a mature Audubon-certified community packed with bird life, jumping fish, and the occasional otter, a Club House, Pro Shop, 9 Pools, 10 tennis courts, Bocce ball courts, Pickleball courts under construction. 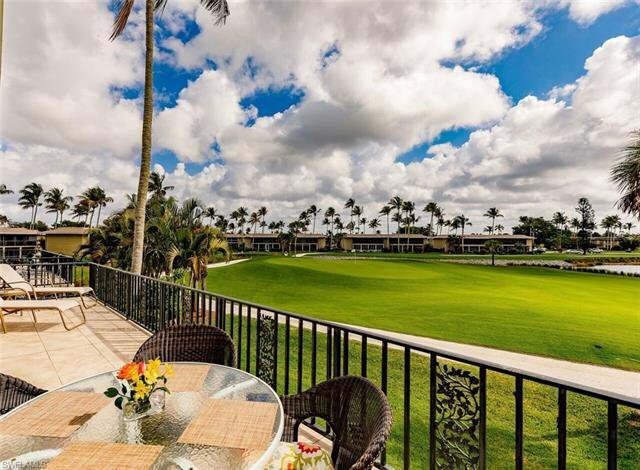 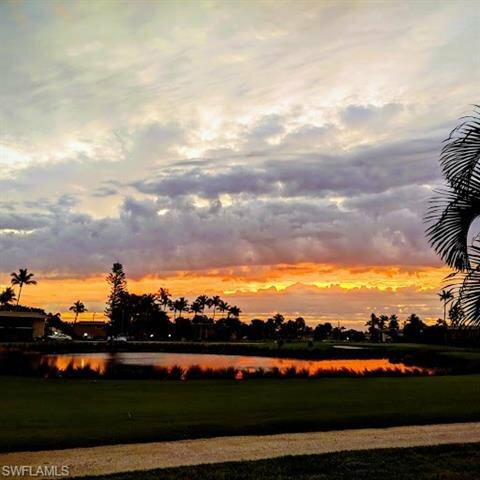 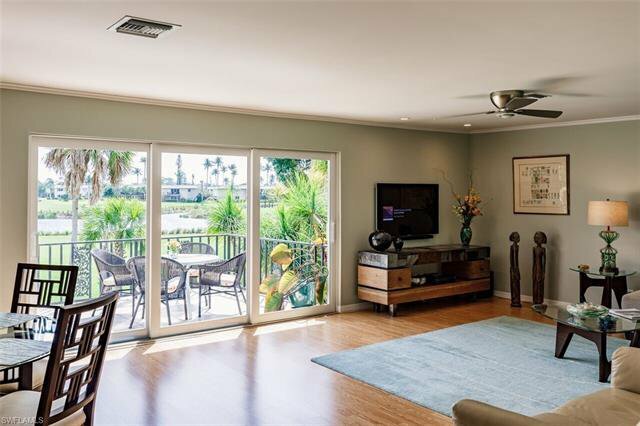 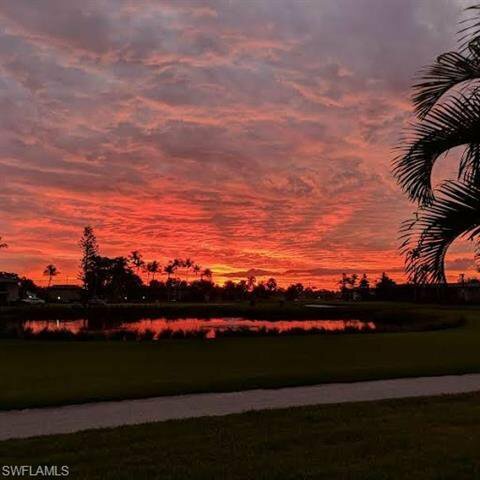 A beautiful eastern sunrise floods into the condo from the balcony-Lanai, overlooking water and water fountain features in a park-like setting. 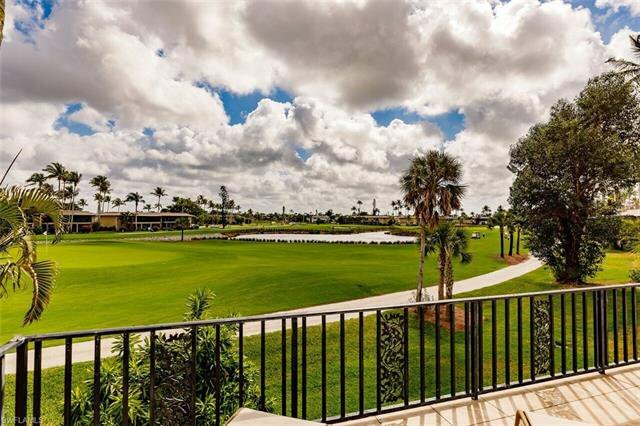 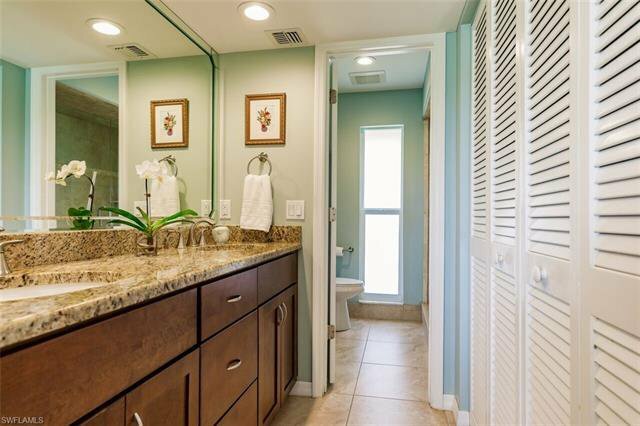 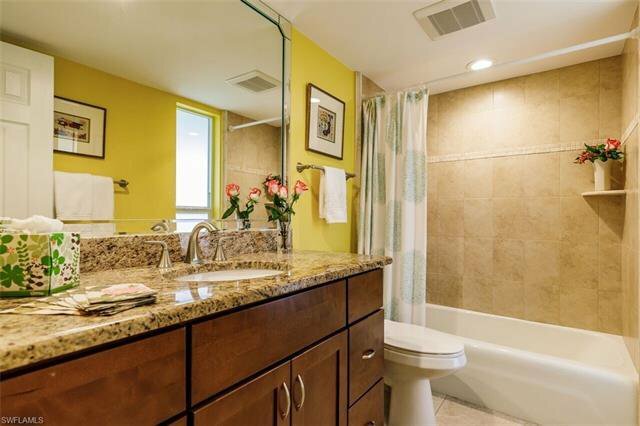 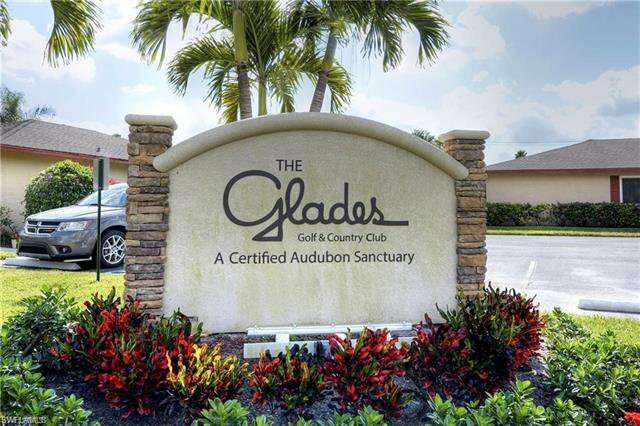 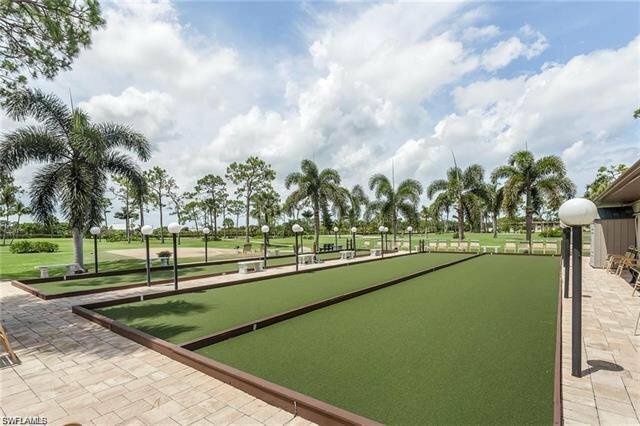 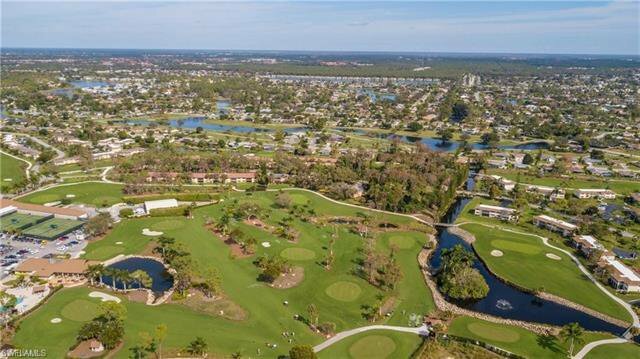 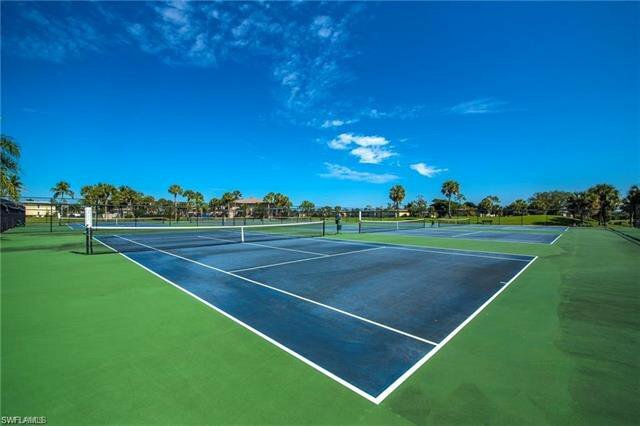 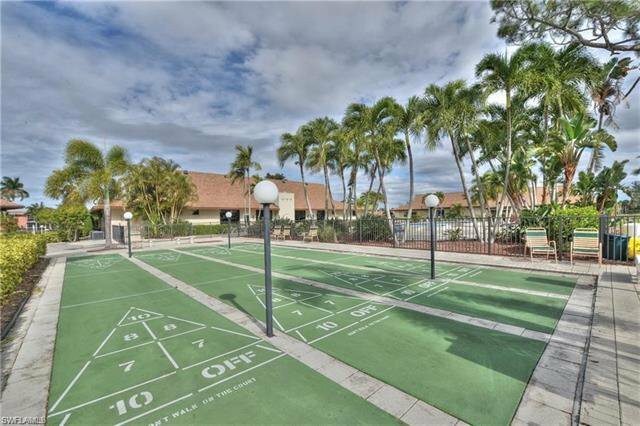 This unit has one of the best natural-features/golf-course views in town! 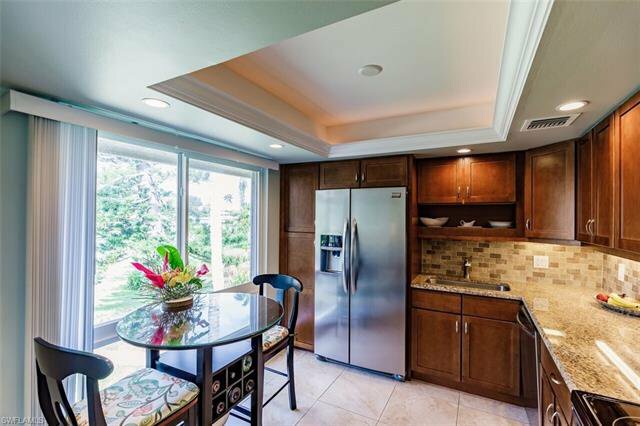 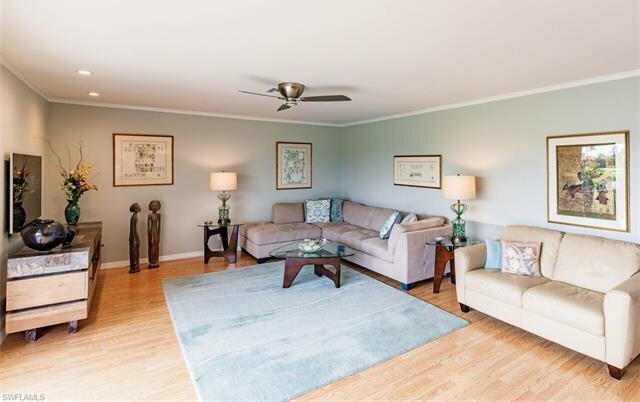 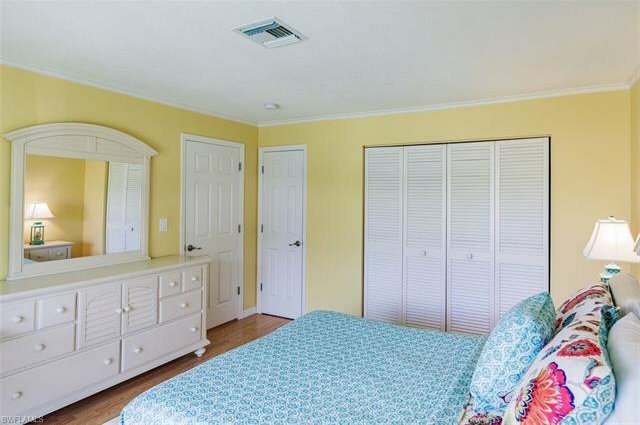 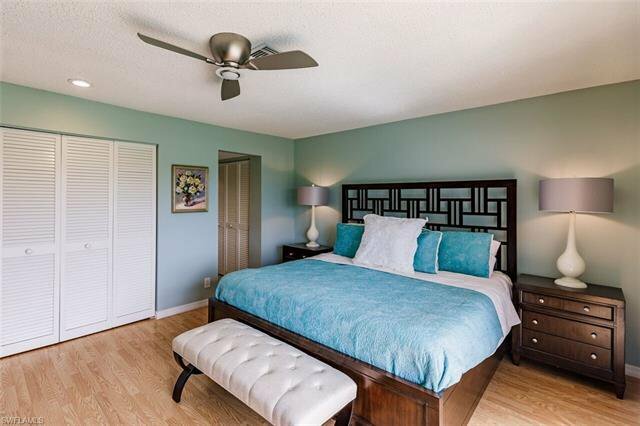 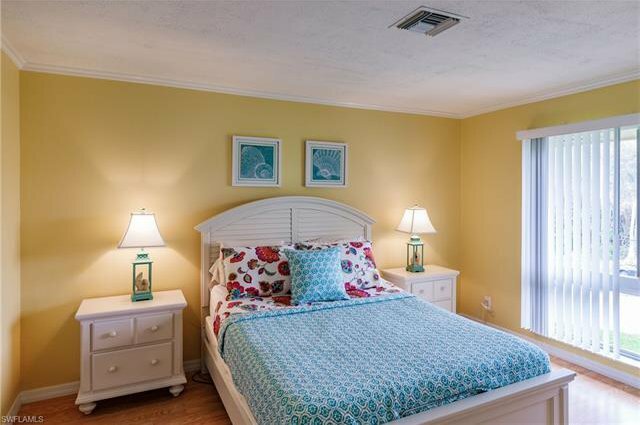 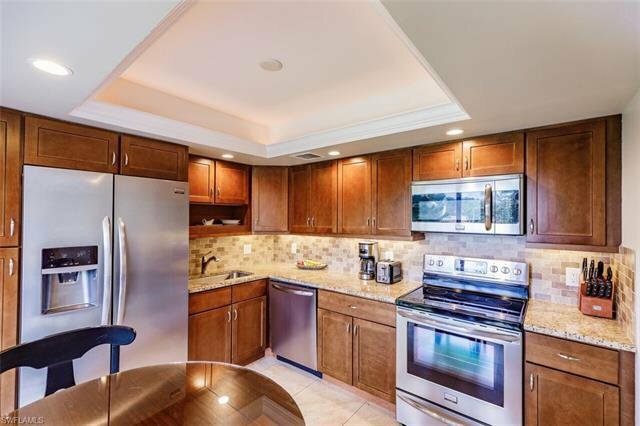 Renovated by the current owner, with the recent addition of new electrical (including LED fixtures and new fans), smooth living room ceilings, trim treatment, and new kitchen appliances. 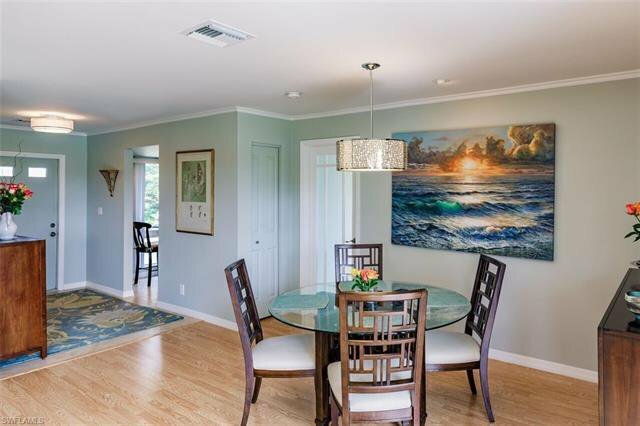 Most furnishings to remain should buyer wish, except for art and family-sentimental pieces. 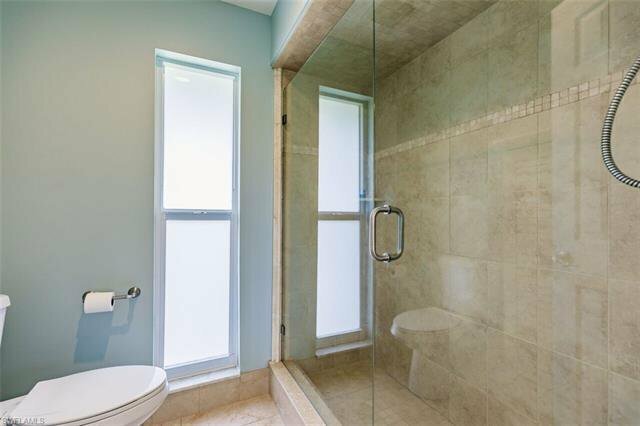 Storm ready with up-to-code roof and hurricane glass.